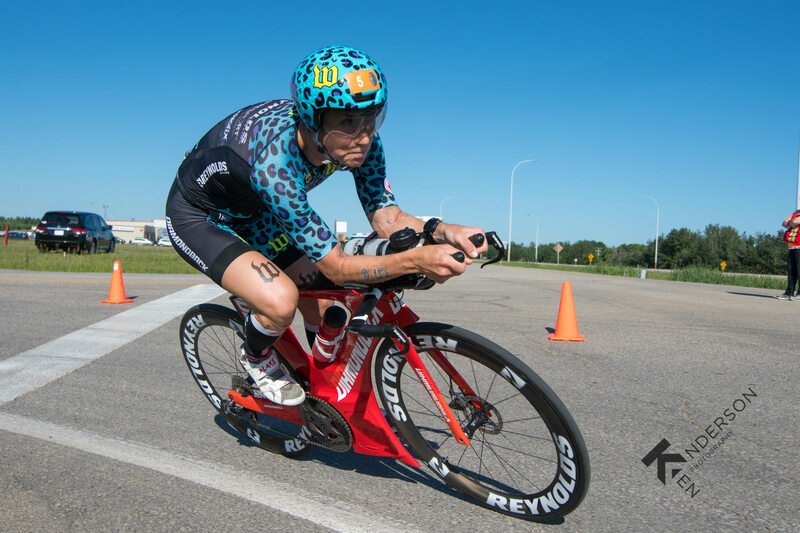 The road back from injury is never an easy one, but Rachel McBride celebrated her return to racing with nothing less than a win at the Great White North Half Ironman on July 2nd. Read below for her recap of the race, and then tune in as she takes on Ironman Canada on July 30th. It is an awesome feeling to get back to racing after a late start to my season due to injury. I am so grateful to be able to hit start line and was really happy to come off with the win at Great White North Triathlon, a long-standing, beloved local race. I ended up clocking the 2nd fastest course time in the 25+ year history of this race - still chasing Heather Fuhr's record set in the 1990s! I tied for 1st out of the water, probably had one of the most solid, confident swims of my career. I followed that up with the fastest bike split of the day and one of the fastest average speeds I’ve ever had. The aggressive aerodynamics of the Andean definitely gives me a lot of power and confidence on these rolling, windy courses. My run is where I’m still getting volume and speed up post-injury. However, I’m right on track for Ironman Canada, as I felt like I could go on forever! Interested in your very own record-breaking bike? Check out our Custom Studio, where you can choose from millions of combinations to create your dream Andean or Serios.